Lowe’s has teamed up with software retailer b8ta to launch smart home learning centers at 70 locations nationwide. As we reported, a recent survey found 41 percent of consumers with wifi in their homes plan to purchase a smart home device, such as an appliance or other IoT (Internet of Things) device, within the next 12 months. Additionally, research shows many shoppers (especially millennials) still prefer to see, feel, and test out an item before buying it. The home improvement retailer’s new smart home mini stores will let prospective buyers do just that. 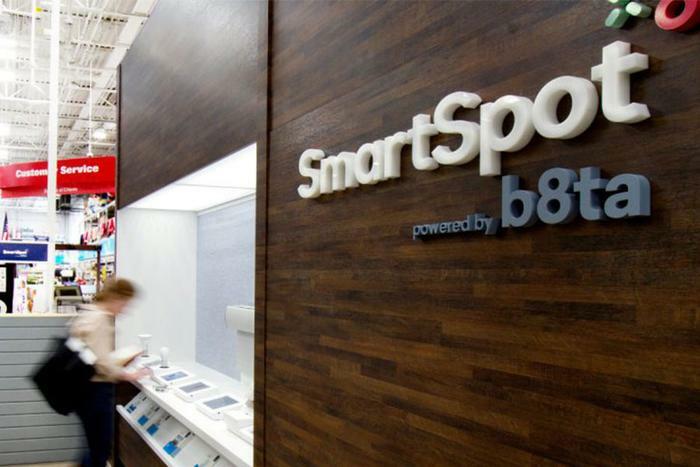 While looking at a range of top-rated smart home products, shoppers can talk with knowledgeable customer service representatives (known as “b8ta testers”) who can answer any questions they might have. "Consumers aspire to live a connected life and crave solutions that make this possible," Ruth Crowley, vice president of customer experience design at Lowe's, said in a statement. "Smart home products simplify life – but the technology can sometimes be confusing or intimidating," she added. "So, we developed Smart Home powered by b8ta to emulate a 'lab-like' atmosphere that empowers customers to make informed decisions." More than 60 products will be on display, from brands like Google, Sonos, Nest, and Samsung. All of the items will be displayed out of the box to “encourage hands-on play and enhance product knowledge.” Consumers can test a wide range of smart home products, including thermostats, cameras, speakers, and security systems. Earlier this year, Lowe’s launched a virtual reality experience to help do-it-yourselfers see how a particular home project is done before starting it in real life. Prior to that, the home improvement retailer launched two augmented reality apps -- one for measuring an object or distance using a smartphone and one for viewing images of devices as they would look in a user’s own home. In addition to its smart home mini stores, 1,000 Lowe’s locations will launch smart home displays ahead of Black Friday. "Smart Home powered by b8ta" is available in major U.S. markets, including New York City, San Francisco, Los Angeles, Dallas, Philadelphia, Boston, Washington D.C., Miami, Tampa, Raleigh, and Charlotte.